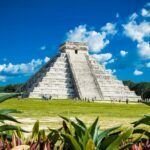 Cancun is known worldwide for being one of the best deep-sea fishing spots. Why? 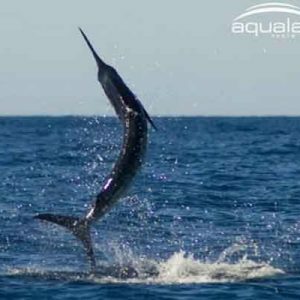 Cancun is very fortunate to have fish migrate there through ocean currents during different seasons; so you really could catch anything! 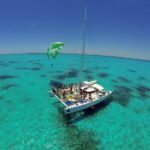 We have caught everything from Tuna and Barracudas to Sail Fish and Swordfish, so bring your hat and sunscreen and be prepared for an incredible day out at sea. 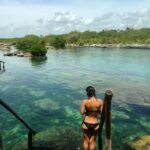 Please watch the video above to whet your appetite for what you could be doing here in Cancun. Boat Type: Your vessel is a Newton 34 ft. boat with dual 375 HP diesel engines fully equipped. Accommodations for up to 8 passengers. 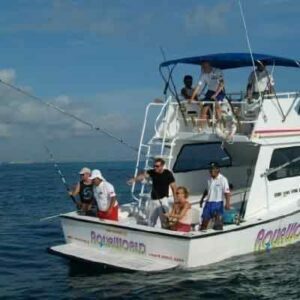 Note:This tour is not one of our private Cancun Fishing Charters. 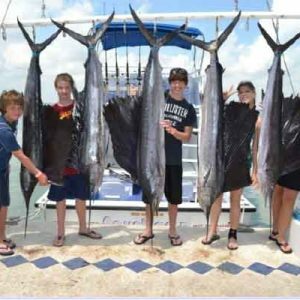 This particular deep sea fishing trip is shared with another group in addition to yours. You must have a minimum of 4 people, and maximum of 6 on this fishing tour. 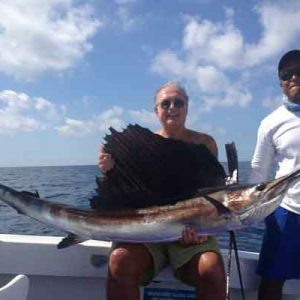 If you wish to hire a private deep sea Cancun fishing charter CLICK HERE. Tour operates daily, Departure at 7:00 a.m. and 1:00 p.m.